LEXINGTON When you go to visit Avis Carr, MD, at KentuckyOne Health Obstetrics and Gynecology Associates in Lexington, don’t expect to see her wearing pink. Carr’s credentials certainly merit respect. 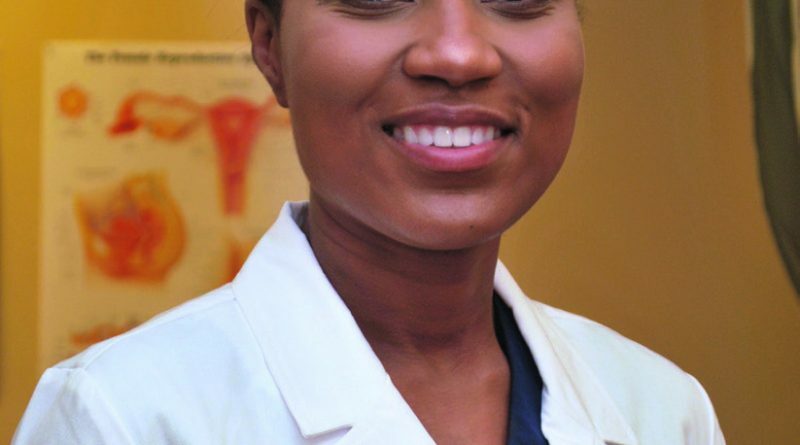 A native of Rose Hill, N.C., she attended East Carolina University’s Brody School of Medicine and completed her residency in OB/GYN at Duke University in 2011. Immediately, she moved to Lexington and joined the KentuckyOne team. “I really fell in love with The Women’s Hospital at Saint Joseph East because it was relatively new and I just thought it was a great fit,” Carr says. She is part of a team that includes fellow OB/GYNs Dr. Elizabeth Elkinson and Dr. Anthony Smith, as well as perinatology provided by KentuckyOne High Risk Obstetrics Associates, that operates a clinic down the hall. Carr and her associates treat everything from obstetrics, such as prenatal care and pregnancy issues, to gynecological issues, such as abnormal uterine bleeding, endometriosis, pelvic prolapse, urinary incontinence, etc. 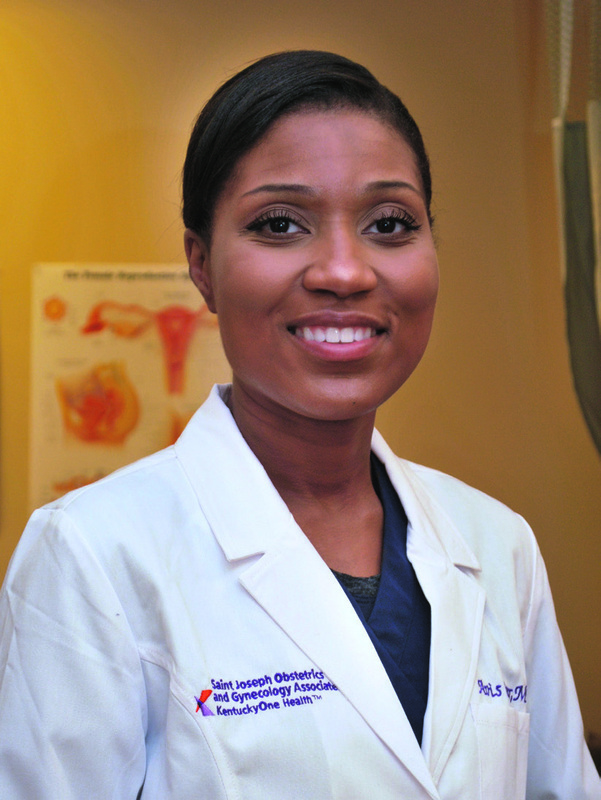 Being an OB/GYN is second nature now for Carr, but initially she wanted to be a pediatrician, before leaning towards surgery. “I really liked the surgical aspects of everything,” she says. “When I did my OB/GYN courses after my general surgery courses, I realized that I was still able to do surgery, but you have a lot of continuity with patients. So, these are patients that you can potentially follow from adolescence to later on in their adult life. With her older patient population, Carr naturally sees many patients dealing with concerns related to menopause, including hot flashes, urinary frequency, and vaginal dryness. “We definitely talk about hormone replacement therapy, which I think is an excellent treatment for the symptoms that they usually experience,” Carr says. Regardless of the patient’s age or needs, Carr and her associates are determined to be as available as possible. They operate additional clinics in Jessamine County, Berea, and Richmond and hope to continue to grow. “We would like to spread out in the community to be more accessible to patients,” Carr says. Avis Carr, MD KentuckyOne Health Obstetrics and Gynecology 170 N. Eagle Creek Drive, Suite 104 Lexington, KY 40509 To schedule an appointment, call 859.967.5848.